Camas leads a butcher demo and sausage-making class at Maialata. Camas Davis is a former editor and writer for magazines including Saveur and National Geographic Adventure. 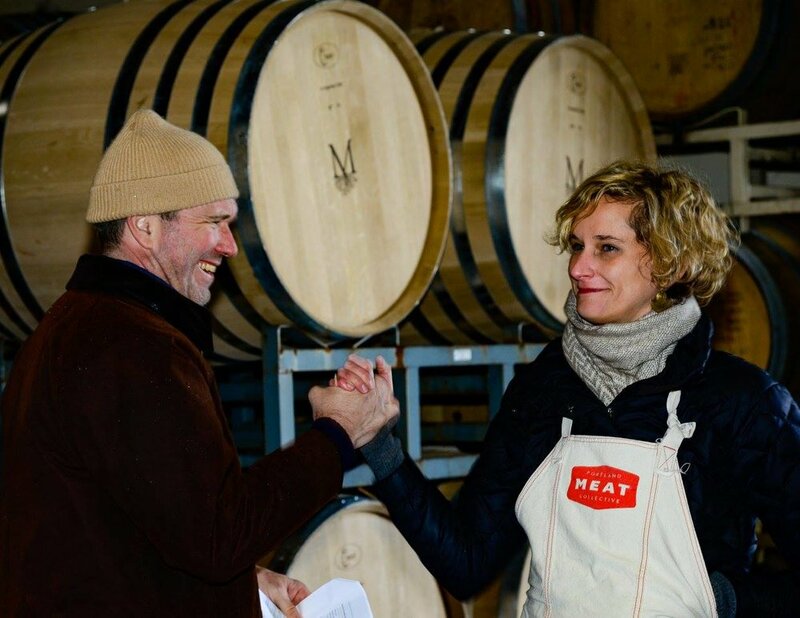 In 2009, she traveled to southwest France to study whole animal butchery and charcuterie and subsequently founded the Portland Meat Collective, a transparent, hands-on meat school that has become a local and national resource for meat education and reform. In 2014, Camas launched the Good Meat Project, a nonprofit dedicated to inspiring responsible meat production and consumption through experiential education across the country. Camas and the Portland Meat Collective have been covered in media outlets such as the New York Times Magazine, Martha Stewart Living, Food & Wine, Bon Appetit, Cooking Light, and Dark Rye. She has a forthcoming book about her adventures in the world of meat, coming out from Penguin this year.